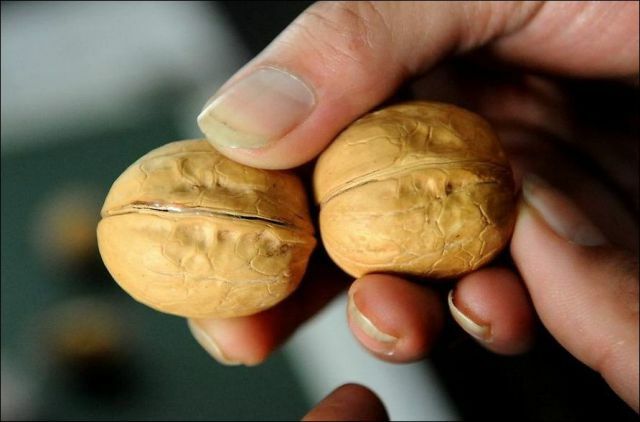 The Chinese police are investigating the sales of fake walnuts that have been found to be prevalent in the city of Guangzhou. 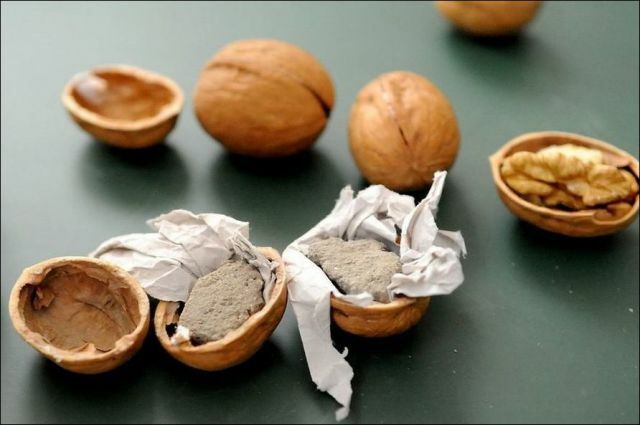 These imitation nuts are actually shells filled with cement wrapped in cloth. goes to show they will fake everything. the chinese govt is the biggest cyber-terrorist org in the world, bombarding western govts and businesses ceaselessly with bot-net attacks until they manage to break in and steal our info. It has already, the authorities have admitted that they have no idea how vast the damage done. They do a lot of fake stuff there. 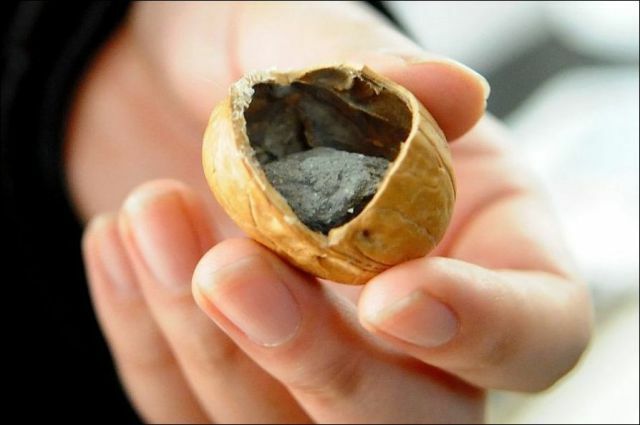 It's a wonder they people there survive on the pre-packaged food they sell - nuts and bolts in cakes and bread, insects in soda, etc ..... gross! If they get the guy who did that, he'll probably will end with a bullet in the head. 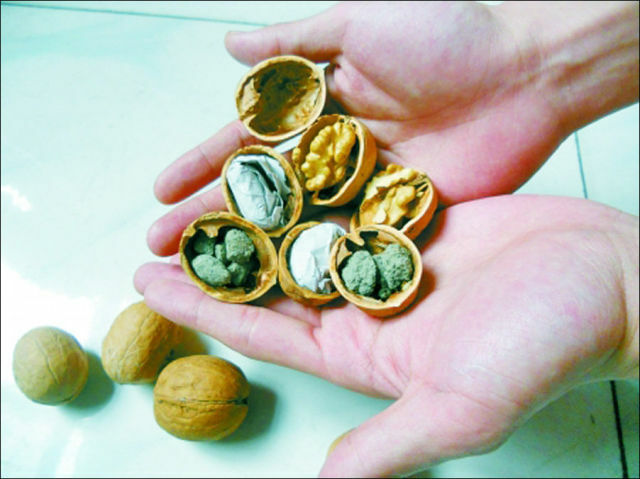 Public health is not taken lightly in China. PS: You guys should go abroad more often. Or just get out of your houses. Your government is just doing the same as always. Giving you americans a new enemy to hate and to allow your politics to limit your rights (even more) with the same excuse. One day you'll notice. BWAHAHAHA... you should hit the standup circuit for ironic comedians, cancamuso. i especially loved your line "public health is not taken lightly in china." 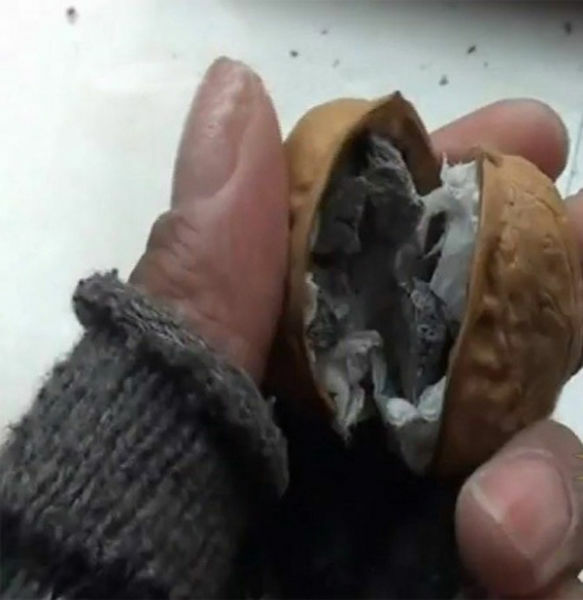 public health is a TOTAL JOKE in china. stubbornness and payoffs to officials determine whether industries are labelled "safe" or not, while many manufacturing towns are now so full of lead and mercury vapor that people can hardly live there anymore. 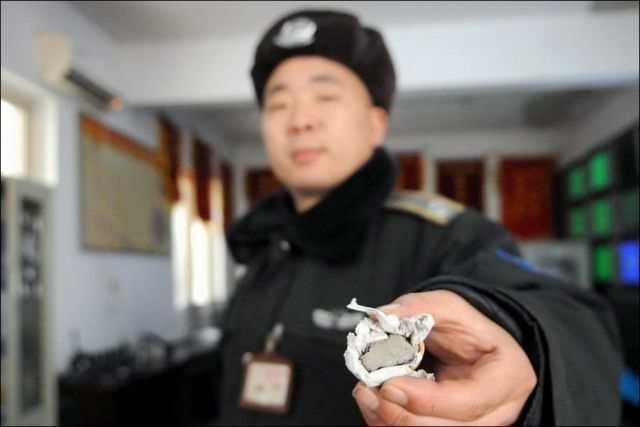 or just look up the latest BS the chinese govt is trying to shovel on its citizens in the border towns near the recent north korean nuke test. "everything normal... no radioactive particles detected." no, westerners don't need any false reasons to be upset with the chinese-- the chinese govt provides a million and one reasons themselves...... with no end in sight. in what sense, clyde? are you saying i'm badly mistaken about anything i just wrote?